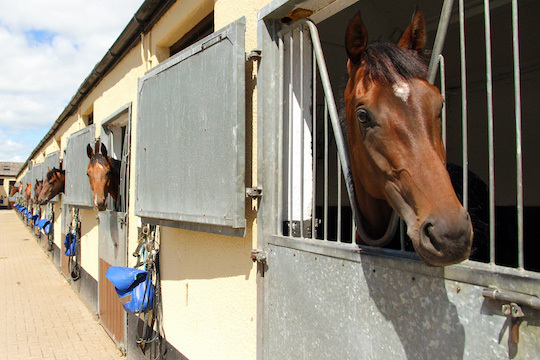 Johnston Racing offers some of the finest facilities in Britain for the care and training of racehorses. We devise training programmes specifically tailored to help every horse achieve its potential and support those progammes with top-class services. The facilities include three separate grass gallops, plus an all-weather Tapeta gallop; an equine swimming pool; covered, automatic exercisers; five lunging rings; top-quality individual boxes; weighbridges; and starting stalls to practise breaking quickly. There are numerous turn-out paddocks among the 270 acres of land. The yard is also the only one in the country to employ two full-time vets, in addition to Mark and his son Charlie, both vet themselves, and all their costs are covered in the daily training fees. Mark is committed to the highest standards of welfare for the horses in his care. At Johnston Racing, our extensive gallops are set amid the scenic Yorkshire Dales at Kingsley Park. 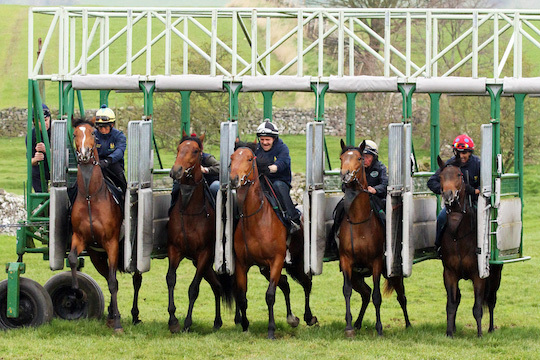 We have a variety of top-class gallops which allow great flexibility for training purposes. There are two uphill grass gallops, one 10 furlong and the other six, as well as a four-furlong grass gallop in the level. We also have an uphill, all-weather Tapeta gallop over 10 furlongs. We have two resident vets, plus Mark & Charlie, to ensure round-the-clock care is available. They have their own specialist room where they can take digital x-rays and scans, carry out endoscopies in a clean, sterile environment, but much of the equipment is designed for mobility and so can be used where needed. All of our boxes are spacious, well-lit and well-ventilated, ensuring each horse enjoys the highest level of comfort in his own quarters.The tack rooms and feed stores are conveniently close, as are the washdown bays for when the horses return from exercise. It’s no good having a horse if he won’t leave the stalls when it comes to a race! 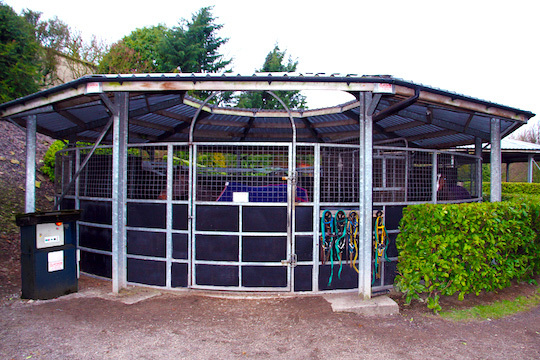 We have a 10-bay set of stalls, and two, three-bays sets. All horses are taken through them as part of their training to ensure they are comfortable with the idea when they get to the racecourse. We have an indoor equine pool and water-walker at Kingsley Park as well as an equine swimming pool at Kingsley House. 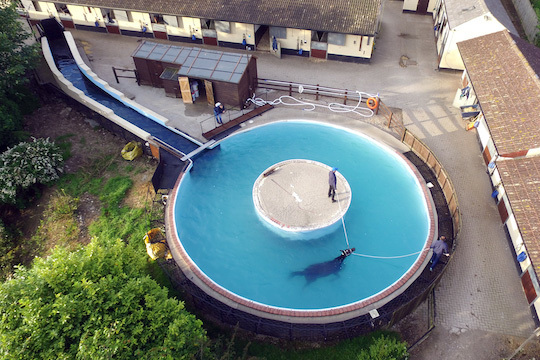 These are a valuable training aid as swimming is a super way for horses to build stamina and improve overall fitness, particularly when returning from injury. 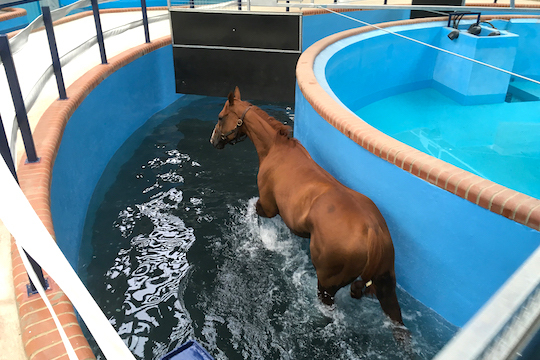 The water walker and treadmill are also fantastic aids to help with our horses’ fitness. In 2016, an indoor water walker, swimming pool and treadmill were added to the facilities at Kingsley Park. 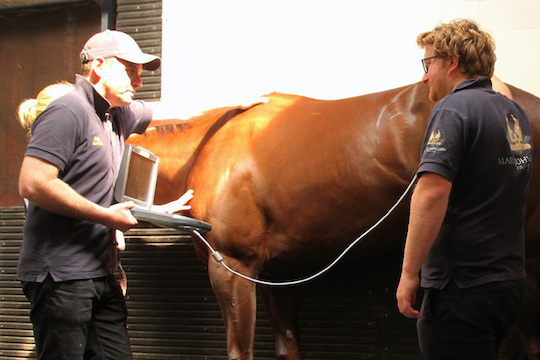 They add further options to optimise the exercise of the horses as well as enable the MJR vets to provide a tailor-made exercise programme for any horse with veterinary issues. At Kingsley Park, we also have a treadmill to help build the stamina and endurance of the horses, as well as maintaining a good level of fitness. This is often used when horses are returning from injury to step up their rehabilitation. 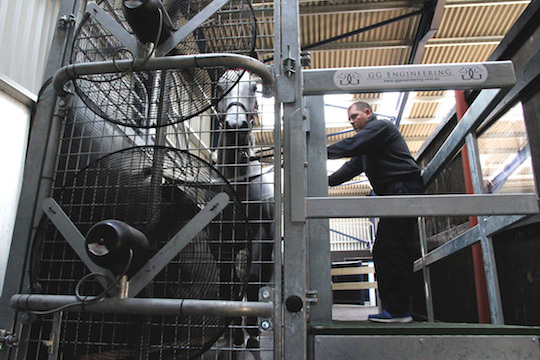 There are six automatic, covered exercisers which are used to supplement training, ideally suited to help horses which cannot be ridden due to injury, or require extra exercise in order to achieve peak fitness. Each exerciser can take up to six horses.